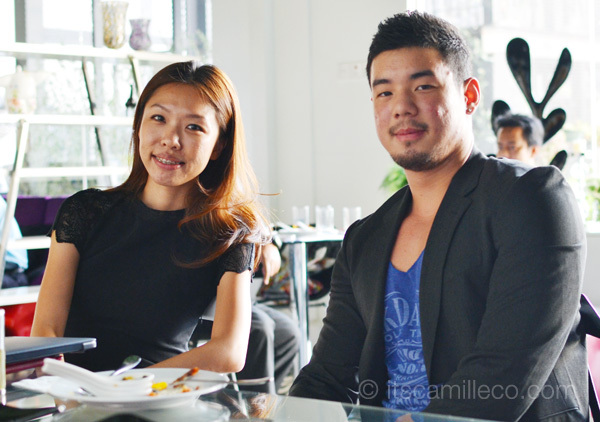 One of the many highlights of my trip to Malaysia was getting to meet some of their brightest designers. We were lucky enough to be able to interview them at Zebra Square and ask them a few things about their respective brands, their thoughts on the Malaysian fashion industry and more. Meet Rhea and Benson, the design duo behind shoe brand, Rhea Benson (no explanation needed there haha!). They’re really a talented pair! They’ve actually won numerous design competitions already. Rhea Benson sells both RTW and custom-made shoes. Their RTW line can be found in stores around Bangkok, Thailand and are priced at RM300 – RM500. What I’m most excited about though is their custom-made line. You see these shoes I took photos of? These are custom-made and cost around RM700-900. Andi, Happy and I went gaga over them! 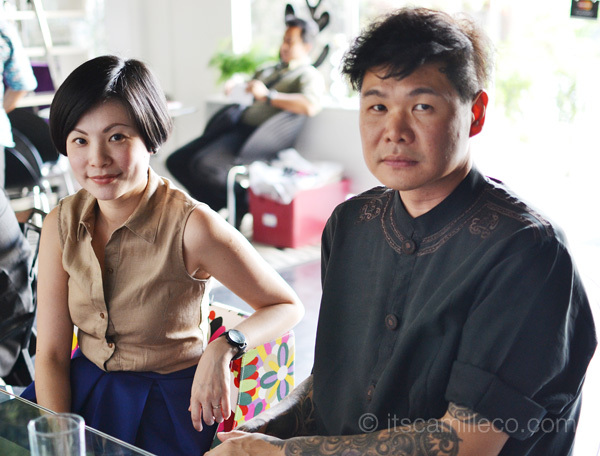 The 2nd design team we met was Peggy and Yap of apparel brand, Zero To Ten. It’s so inspiring how these 2 started. If I remember correctly, they’ve been in the business for more than 15 years already. They started at a young age, fresh from design school. I don’t remember how much their starting capital was exactly but I remember thinking that it was beyond small! They literally walked from store to store, approaching store owners one by one to show them their products. Now, they have various branches and even run their own factory based in China. 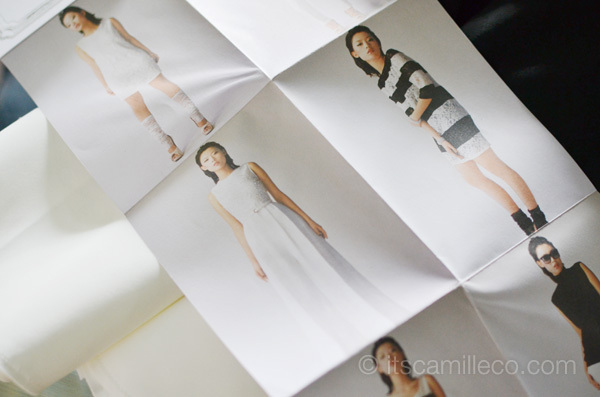 Zero To Ten sells both retail and wholesale clothes. Their design aesthetic is very clean and simple yet always hip and on-trend. Of course, us girls went gaga all over again when we saw their pieces. We practically bought everything because besides being stylish, all their items are quite affordable too! 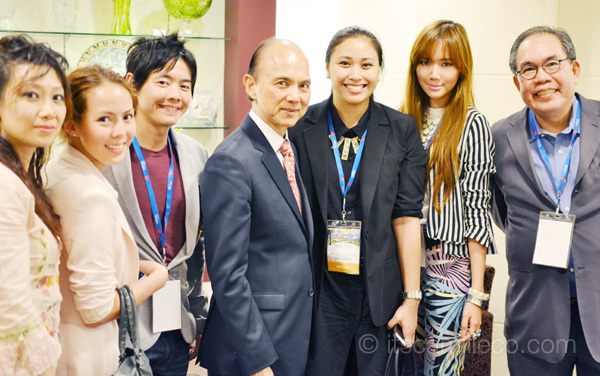 After meeting Malaysia’s homegrown designers, it was time to meet one of Malaysia’s greatest, Professor Dato Jimmy Choo. AHHHHHHHHH! Starstruck! I have a photo with JIMMY CHOO! I can show this to my future grand kids! AHHHHH! I’m so honored to have finally met him! AHHHHHH! Not only were we able to meet him, but we were also given the chance to have a short interview with him. He’s such a humble and nice man. With just the few minutes that we were able to spend with him, I came out feeling beyond inspired. Thankfully, I was able to capture a few snippets of our interview with him to share with you, my dear readers. I hope you enjoy our interview as much as I did! I apologize in advance for the crappy quality. I wish I was able to record the whole thing, but better this than none! For aspiring young designers like me, I hope you find inspiration in this interview like how I did. I suggest you watch all the videos even if the questions don’t concern you because Mr. Jimmy Choo’s answers touch on a lot of topics that lie outside of the questions we asked and they may come in handy to you in the future. Question: What makes a shoe beautiful for you? Question: What do you think are the essential things women should have? Question: What pair of shoes do you suggest a woman should buy first if she were to start her shoe collection? Thank you Tourism Malaysia for giving us a chance to meet Professor Dato Jimmy Choo. I hope I get more opportunities such as this. I love meeting people like him because they give so much insight to an aspiring designer like me. 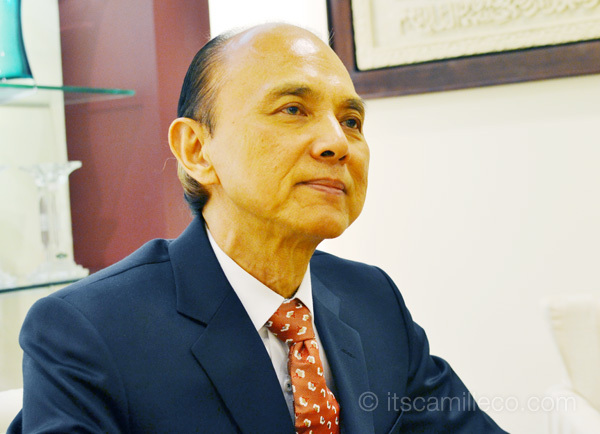 Professor Dato Jimmy Choo proved to me even more that with the right mindset, determination and hardwork, no matter where you come from, you can and will go places. Thanks Dheya! I think so too! Thanks Mareeyuh!! Haha I’m lucky I guess! Wow that’s really cool Camille! What a great opportunity! Oh no I’m so sorry! it must be my fault. :( My audio output here seems to be working fine but a few readers have been telling me that. Next time, I’ll do better! i had to stop myself from leaping out of my seat when i saw that picture of you with jimmy choo!!! im so inggit! Haha meron yan! :) Thanks Kirk! Such a humbling experience! WHooooaaa! Jimmy Choo! The original! Woot! :) So lucky you! It is! THE Jimmy Choo! I know! I still can’t believe it! You are so lucky and those heels are to die for I hope you got a free pair! Wooowww…jimmy choo..Iowa na!! !you’re so lucky!!! Wow! That is crazy you got to meet him. That must’ve been so exciting! ikaw na talaga! hands down! and i certainly agree that you’ll be able to be a successful designer one day! God bless! Aw he seems very nice, humble and down to earth! He REALLY sounds like my dad too! They have the same voice! Haha! Haha your dad must be quite nice too! Quite the inspiring people him and his son are. From very humble beginnings to making a name for them selves. How lucky you are I really envy you this time. Just kindding what a wonderful chance you had. Congrats to you. Lucky girl, i love Jimmy Choo. you’re one of the most luckiest person here on earth!!!! oh wow! Jimmy Choo, this is big-time! Waaaahh! You’re so lucky to meet Jimmy Choo! *Super jeles mode. But, thanks for sharing your experience! Very helpful! I want to become a good designer but I don’t think I ever will be. :( Hehehe. Jealous! There’s one designer I want to meet not only because I love his work but more so, HE IS SO GWAPO! None other than TOM FORD! I’ll give my all to make him straight. I think he’s gay kasi eh? I don’t think the word “fashion” will ever exist if not for these gay people. Kudos to them. Oh wait there’s another one pa pala. How can I forget the gorgeous Victoria Beckham. That girl defines fashion. She’s got it all and she’s got something all of us covet…her husband! RAWR! I know! :) So happy! Oh no! I don’t know how to fix it. :( How about earphones?